PepsiCo is one of the biggest and wealthiest companies in the world, a multi-billion dollar brand that's pretty much taken over the globe. As for the self-titled drink (without the Co, of course), it's one of the most iconic American products to date. Ever heard about Nobby's Nuts, Mountain Dew and Doritos? Guess who they belong to - that's right, to PepsiCo! Alright, let's check out some of the craziest facts about Pepsi! - Originally Pepsi was known as Brad's Drink (ridiculous, right?) and was introduced to the world more than a hundred years ago - in 1893, to be exact. - Did you know that this now-iconic drink was created and developed by Mr. Caleb Bradham? And where did he make the magic happen, exactly? In his drug store in New Bern! - Five years later, in 1898, the man changed the name to Pepsi-Cola, as the two ingredients were kola nuts and pepsin. I bet you never knew about this! By the way, Brand's Drink also included sugar and vanilla. - Another half-a-decade later, in 1903, Bradham moved production of the drink to a warehouse he rented. Within a year he managed to boost sales to 20 thousand gallons! In 1905 the now-legendary Pepsi-Cola logo was designed and put on the bottles. 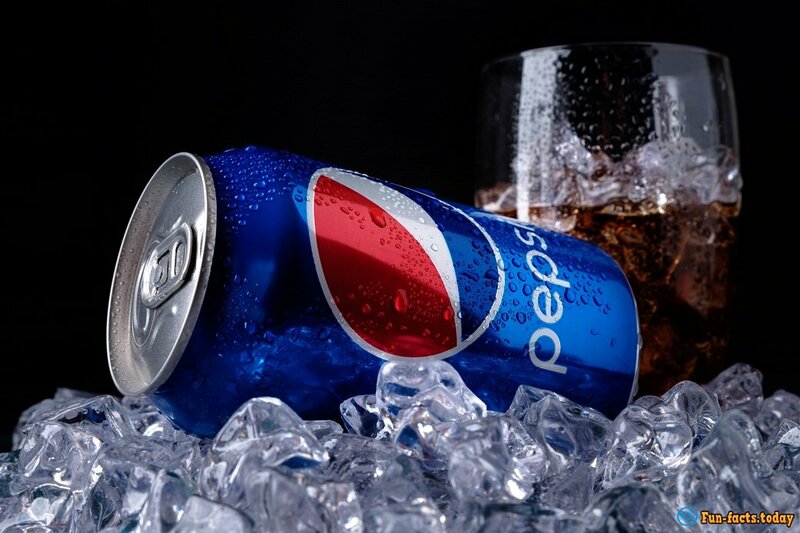 - One of the craziest facts about Pepsi: In 1909, a famous racer described the drink as invigorating and refreshing, "a bully drink", just perfect before the race. He was a part of a mighty advertising campaign with the slogan, “Delicious and Healthful”, sticking around for 20 full years. - In 1926 the company decided to change the logo. However, it didn't "stick", and three years later they had to change it again. In 1930 they came up with a new catchy slogan, "Pepsi-Cola Hits the Spot” (pretty cheesy, I know) that was used for another 2 decades. - Interesting fact about Pepsi: during the Great Depression, Pepsi-Cola (the company) filed for bankruptcy. The main reason - ridiculous prices on sugar after World War 1. - In 1936 Pepsi-Cola developed and released a 12 ounce bottle with the same price-tag as a 6.5 ounce bottle of Coca-Cola, the biggest rival. Thanks to a smart advertising campaign on the radio (remember, not a lot of folks owned TVs back then), the company's profits doubled within 2 years, which allowed them to successfully get out of bankruptcy. - In 1975 PepsiCo did something really bold: they set up a blind testing between their Pepsi-Cola and the major competitor, Coca-Cola. During these tests most of the "contestants" picked Pepsi. The company used this as a big part of its advertising campaign. - One of the craziest facts about Pepsi: Pepsi was made available in Israel only in 1991! And, it's the biggest sponsor of the Pakistan cricket team! 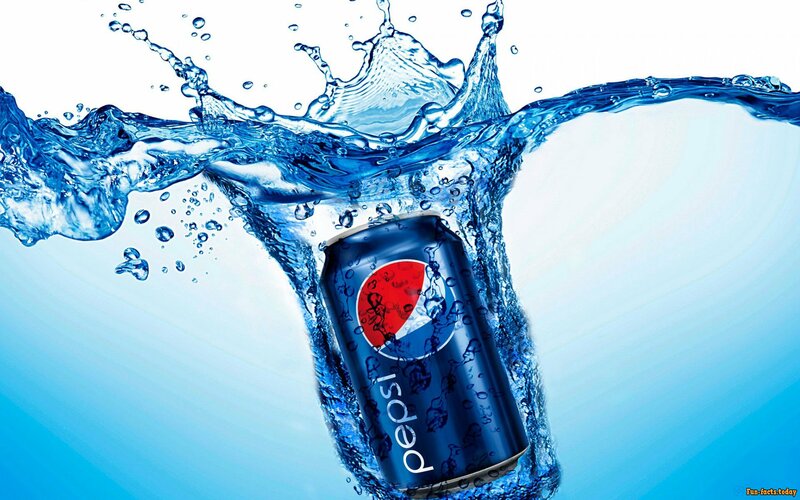 - PepsiCo is known to "hire" the biggest celebrities for advertisement, including Michael Jackson, Janet Jackson, Britney Spears, Beyonce, Mariah Carey, Christina Aguilera and others, not to mention David Beckham and Messi - soccer legends. - Awesome fact about Pepsi: in 2007 the company reshaped the cans for the 14th time. In 2012 they introduced Pepsi Next, which boasts having only half the amount of calories of the standard Pepsi. - Pepsi cherry is not the only flavor! Yep, the company really likes to introduce different tastes to different countries. The Japanese got a whole bunch of them, including Pepsi White (yoghurt flavor), Pepsi Red (spicy ginger flavor), Pepsi Ice Cucumber (cucumber flavor) and more. The Russians got Pepsi Ice Cream. Alright, that was our list of the craziest facts about Pepsi. Stay tuned!